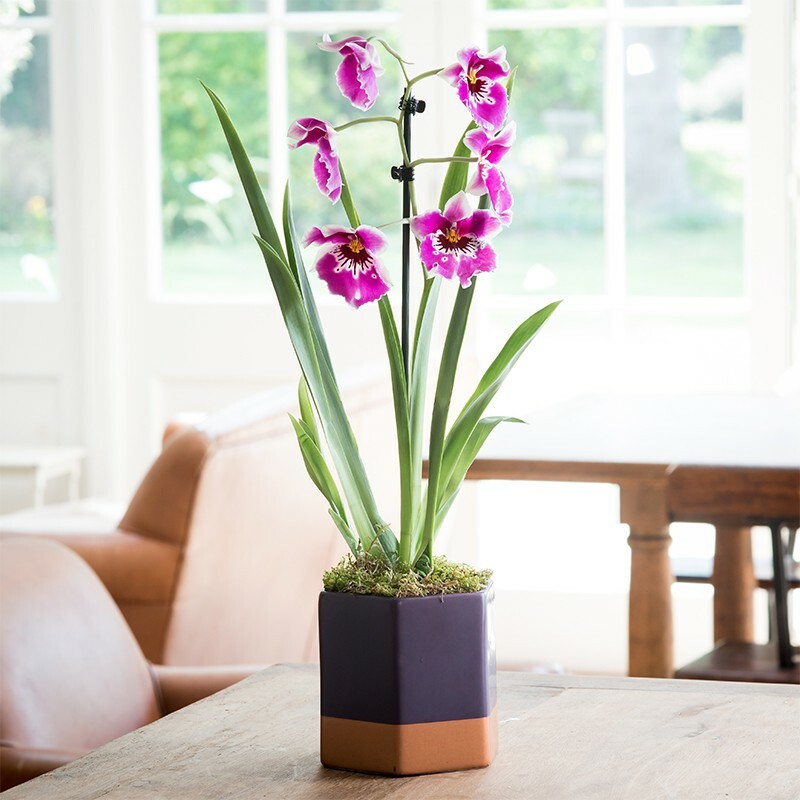 Send a vibrant pink miltonia orchid plant, presented in an attractive purple hexagonal pot, as an impressive gift for any occasion. My mum was so excited on receiving her Miltonia Orchid it made her day. Keeping her orchids in her kitchen works well with the right light and condition she can enjoy her friends for a long time with new blooms.